Mindfulness Is Not A Tool; It Is A Path. 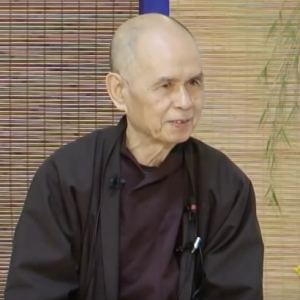 During the June retreat in 2014, Thay (Venerable Thich Nhat Hanh) departed from the theme of the retreat to address a challenging issue: Should Dharma teachers in the Plum Village tradition teach mindfulness to businessmen, or to soldiers? As an instrument you may make use of it in different ways, like a knife. If you give someone a knife he can make good use of the knife in order to chop the wood or cut the vegetables, and do good things. But someone can use a knife to kill and to rob. So mindfulness is not like a knife that can do good things or bad things. Mindfulness is not an instrument. It is not a tool. Many of us have thought mindfulness is a tool. With mindfulness you can heal, with mindfulness you can reconcile, with mindfulness you can make more money, with mindfulness you can kill better the enemy. One of the possible answers is that mindfulness is not an instrument, not a tool, but a way. 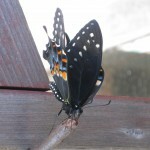 Mindfulness is one of the eight elements of the path. So it belongs to the path, the Right Path, samyak marga. If you take mindfulness out of the context of the path, it is no longer mindfulness. This is very important. The right path begins with right view. Any kind of mindfulness that goes against right view is not true mindfulness. And we know that right view is free from discrimination, hate, anger, and fear. And if something is against that, if it does not carry right view, it is not right mindfulness. As his Dharma talk continued Thay made clear that the key issue is not “who we teach mindfulness to,” but “how we teach mindfulness.” If we always emphasize the inter-relationship of mindfulness to the other elements of the eight-fold path (right concentration, right wisdom, right view, right speech, right action, right livelihood, and right diligence), then we can safely teach it to anyone. It can never be mis-used. This Thursday evening, after our meditation period, we will watch the first 15 minutes of Thay’s talk and then focus our discussion on the difference between mindfulness as a tool and mindfulness as a path. You are invited to join us. This week is also the first Thursday of the month, and, as is our tradition, we will offer a brief newcomer’s orientation to mindfulness practice and to the Still Water community. The orientation will begin at 6:30 pm, and participants are encouraged to stay for the evening program. If you would like to attend the orientation, it is helpful if you let us know by emailing us at info@StillWaterMPC.org. The complete video of the “Mindfulness is not a Tool” Dharma talk is available on line: https://www.youtube.com/watch?v=ABJWu7wzZP8. Also, please help us envision how the Still Water MPC will develop over the next three to five years. The Still Water Working Group has created an online survey to gather information from those whose lives we touch. Whether you are a regular Still Water participant or just look at the website or read email announcements from time to time, please take a few minutes to complete the survey at https://www.surveymonkey.com/r/29CZSP3.